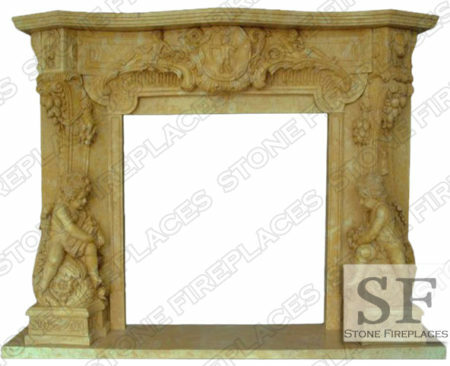 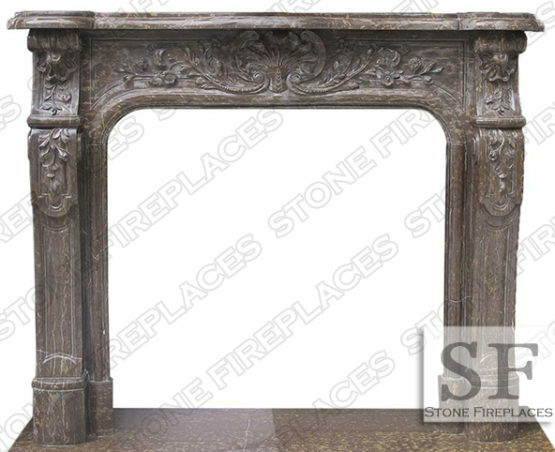 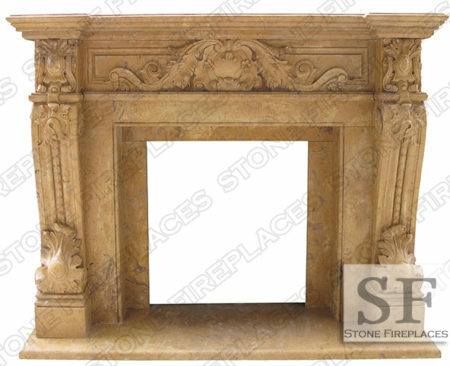 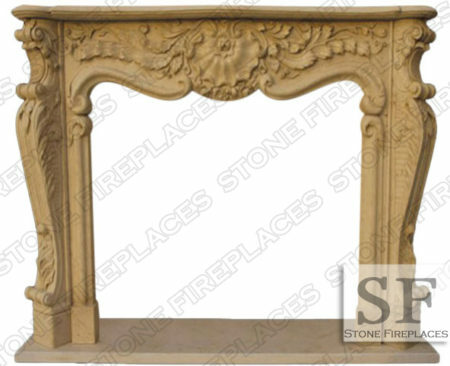 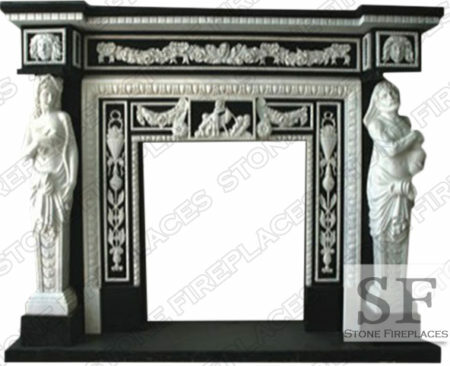 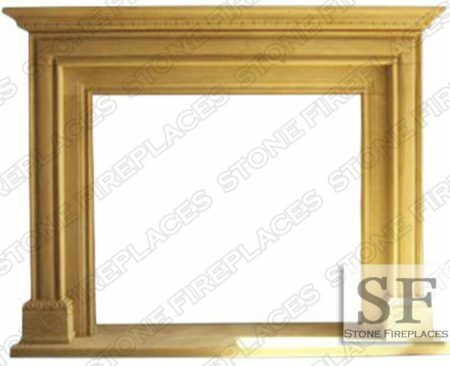 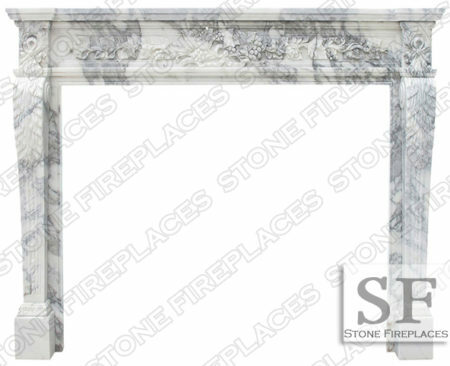 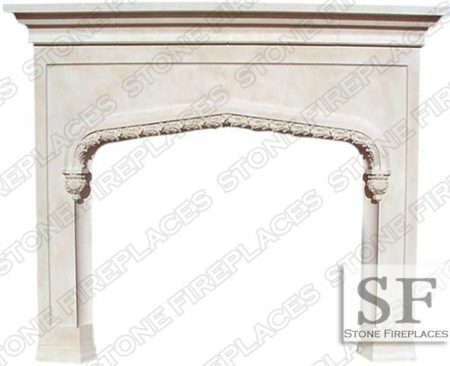 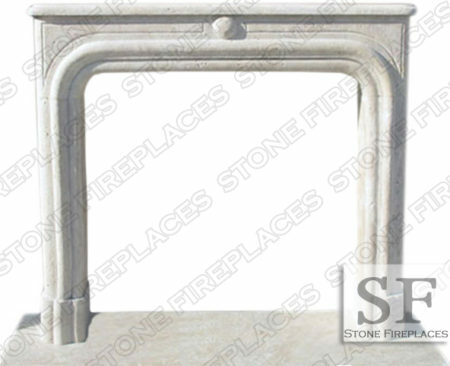 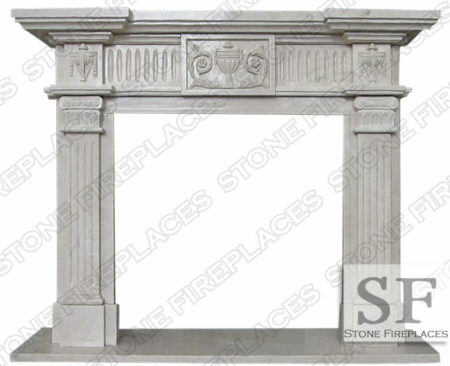 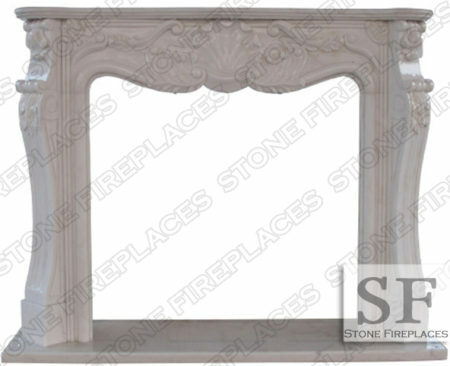 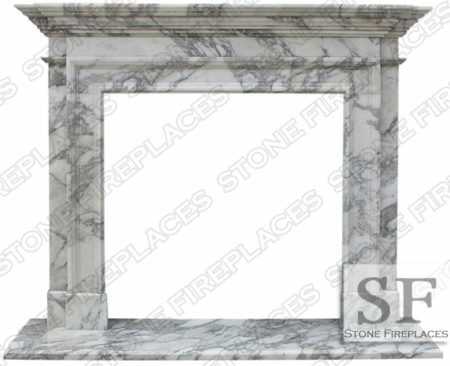 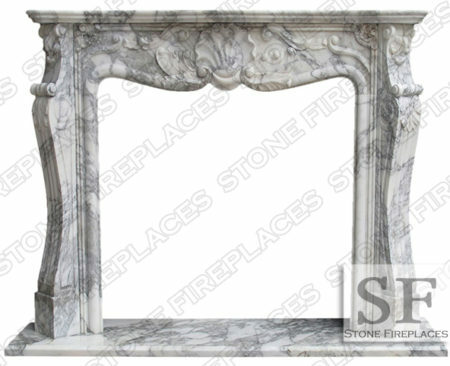 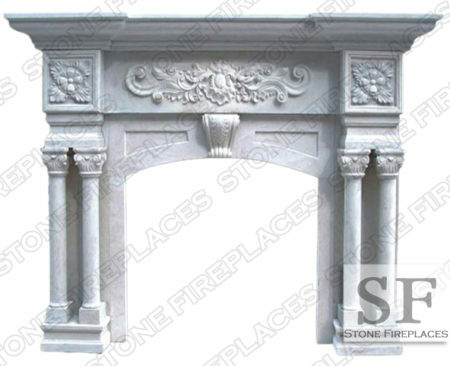 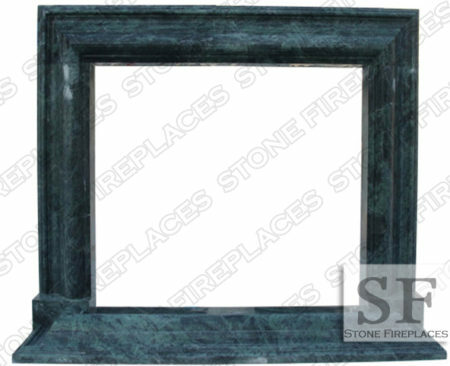 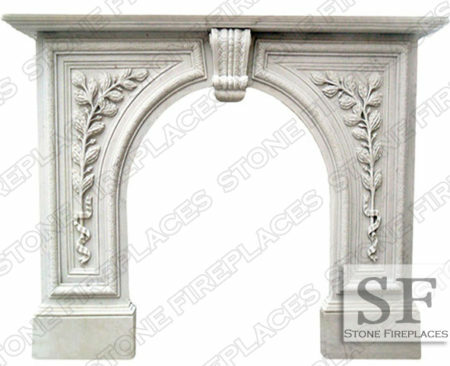 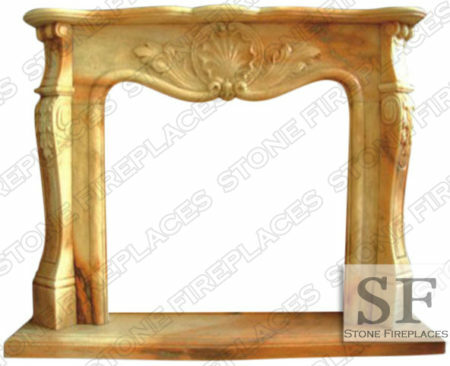 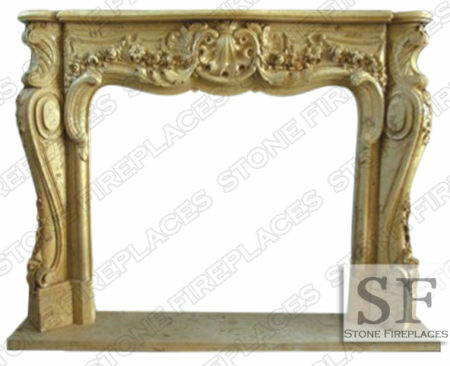 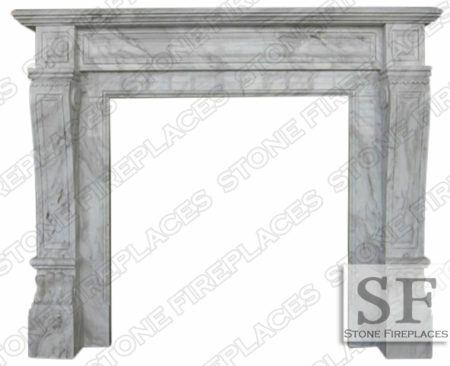 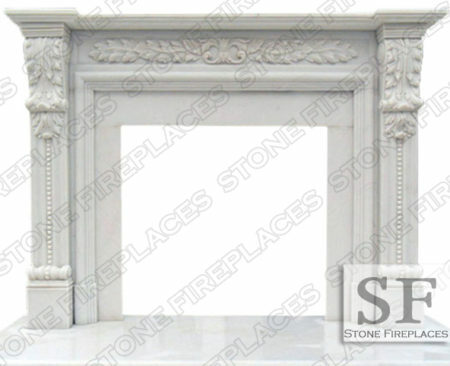 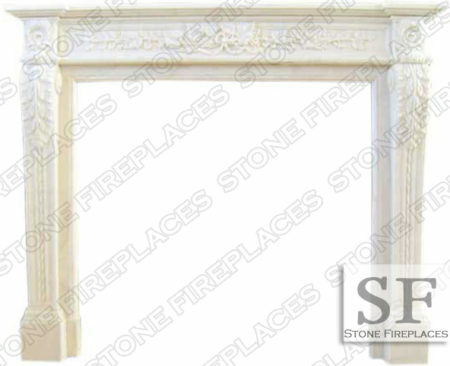 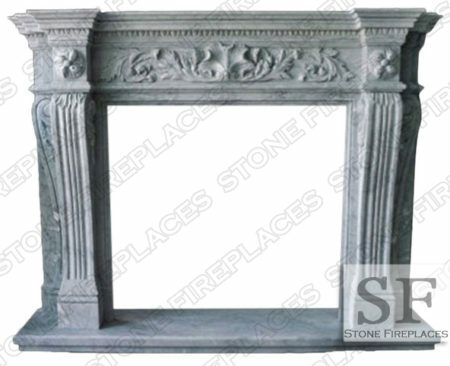 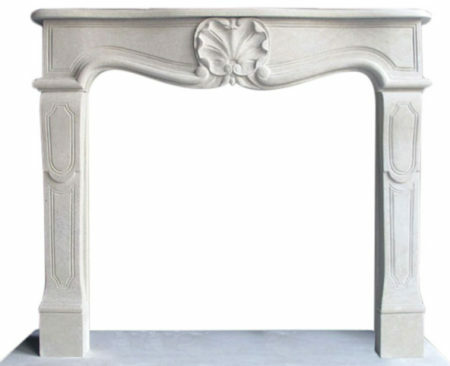 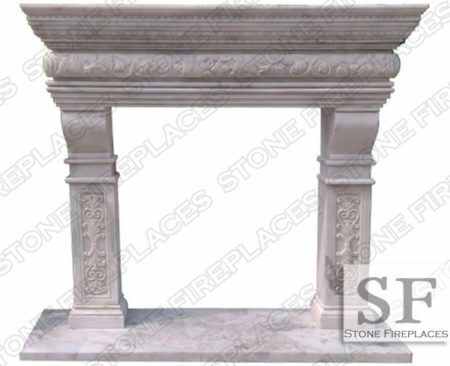 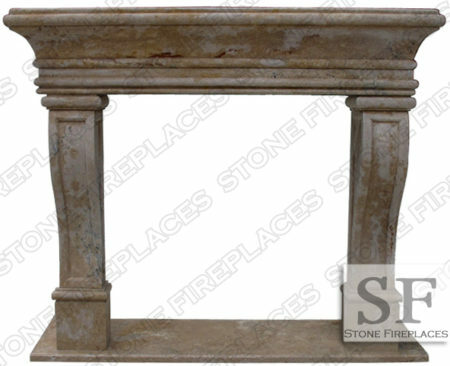 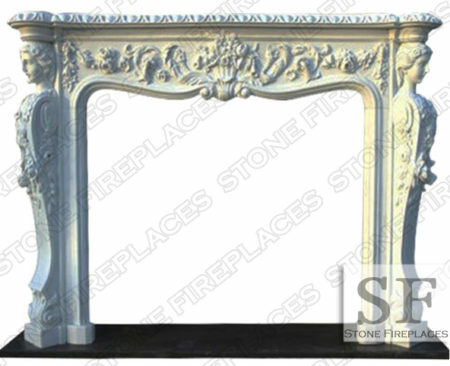 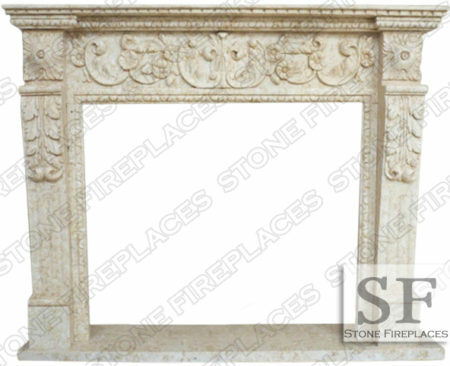 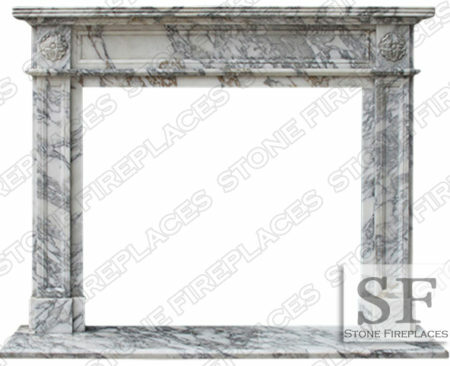 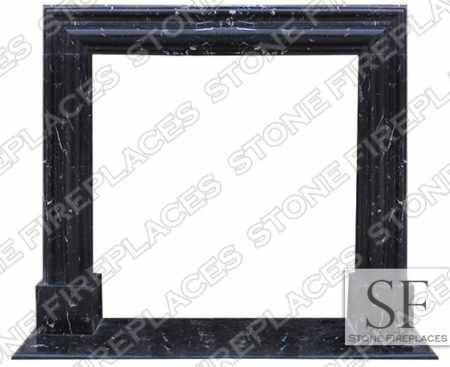 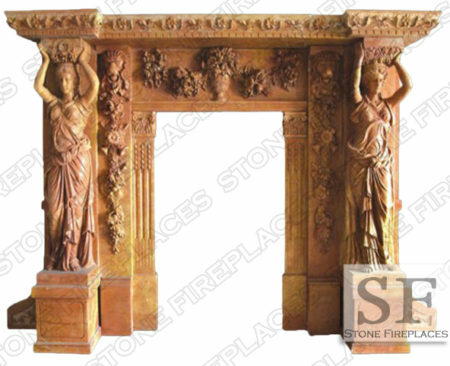 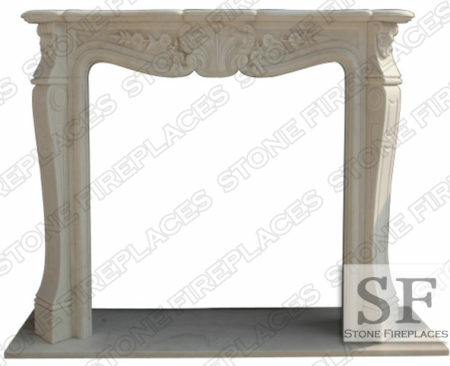 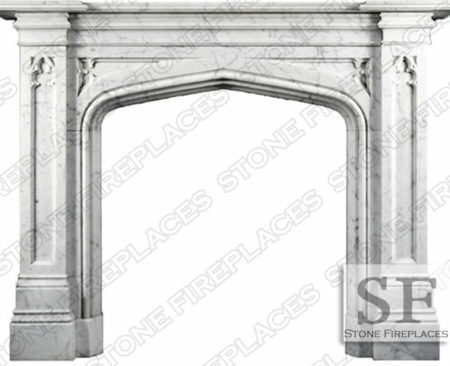 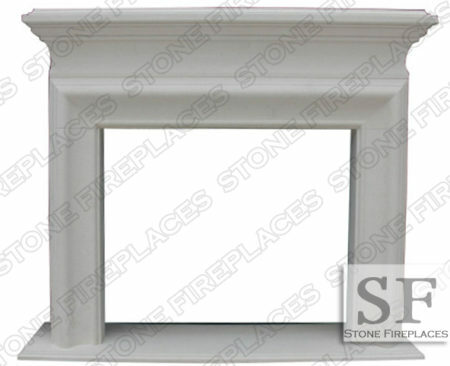 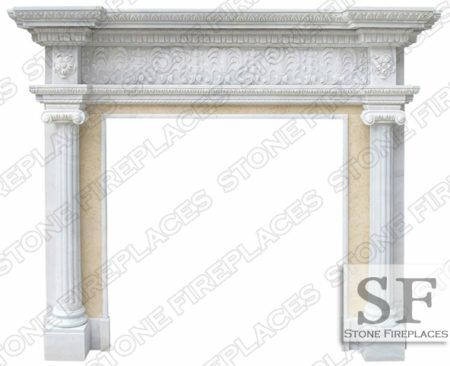 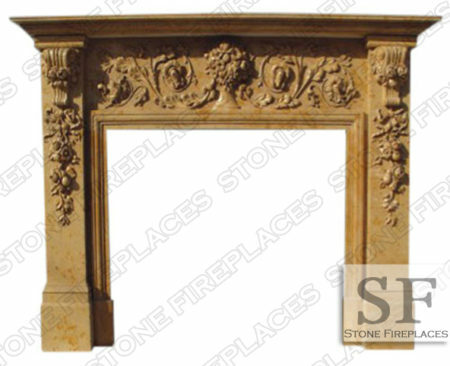 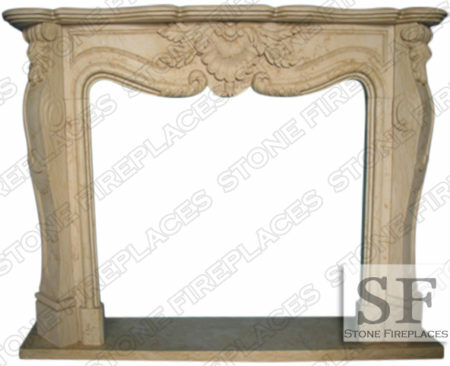 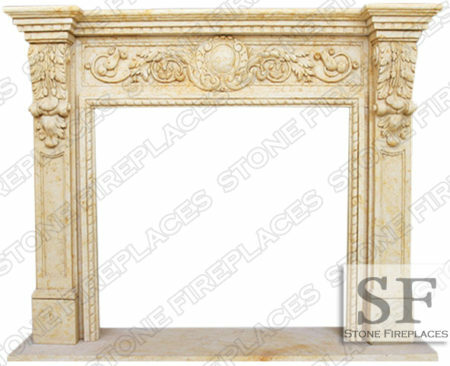 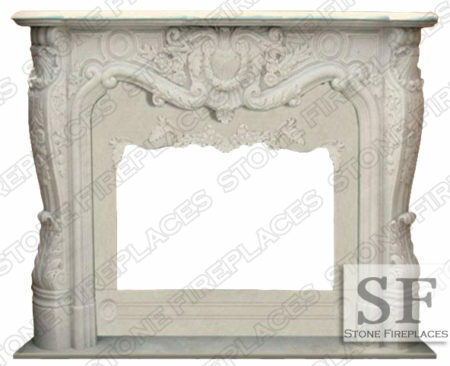 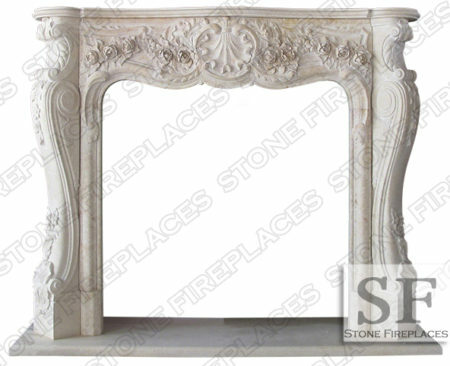 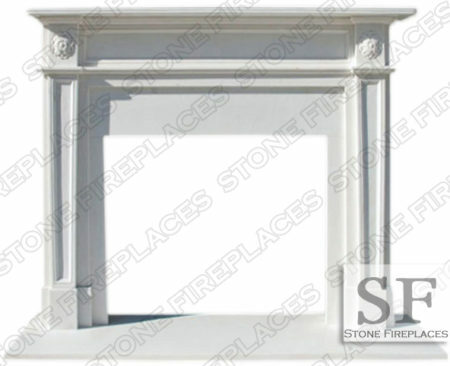 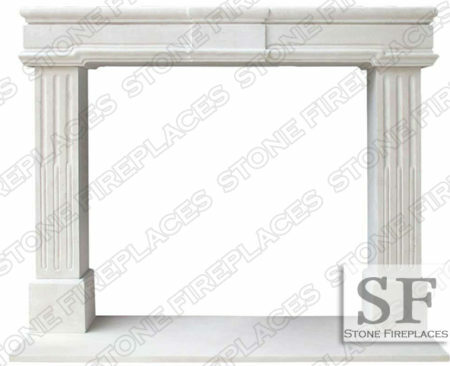 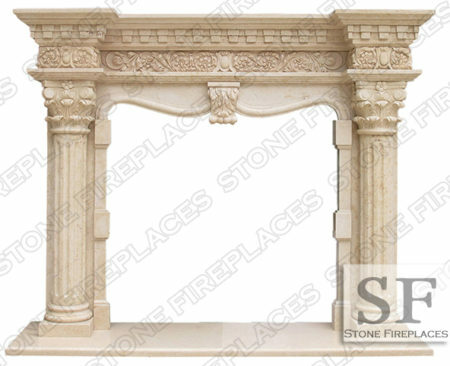 The Bella Vista Marble fireplace mantel is a design that is ornate and a France style. 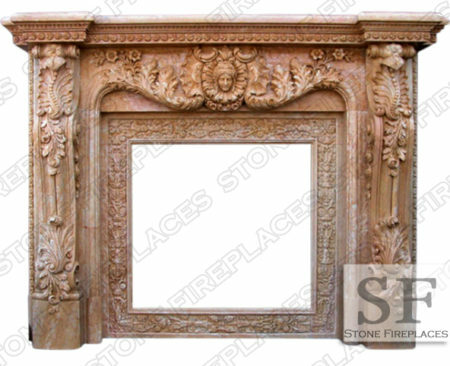 A very unique brown colored marble. 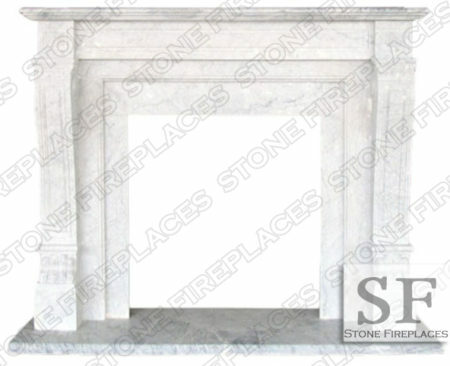 The veining in the real stone allows for the details to be seen better in the carved stone. 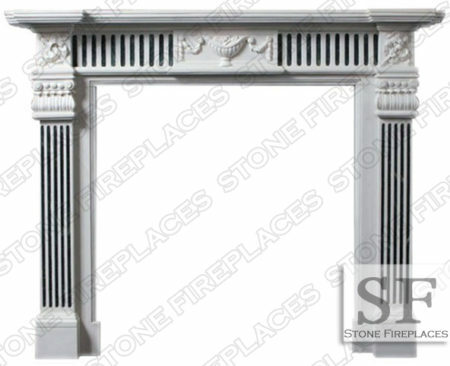 Not pictured is are the inner panels that come with the surround. 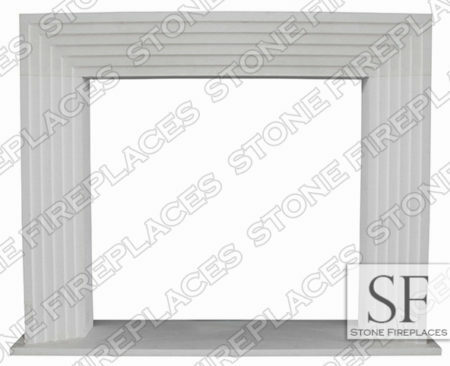 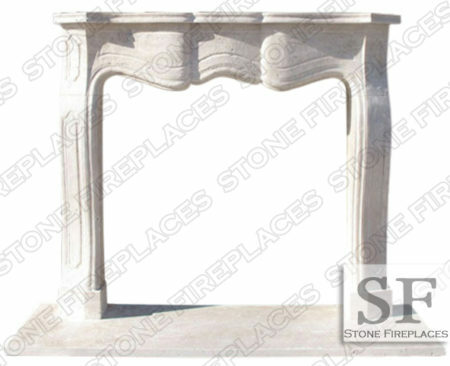 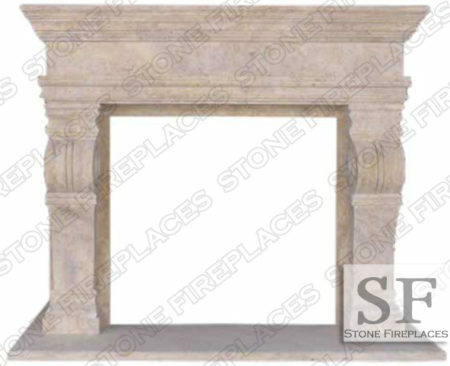 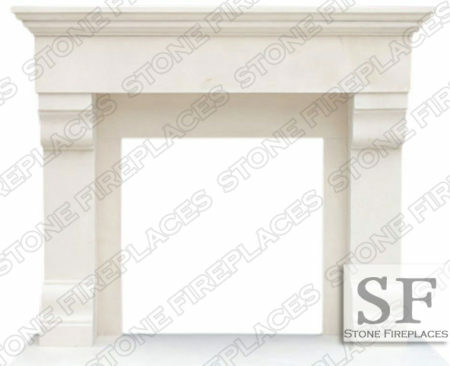 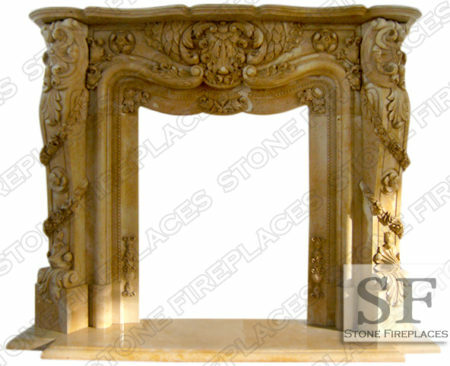 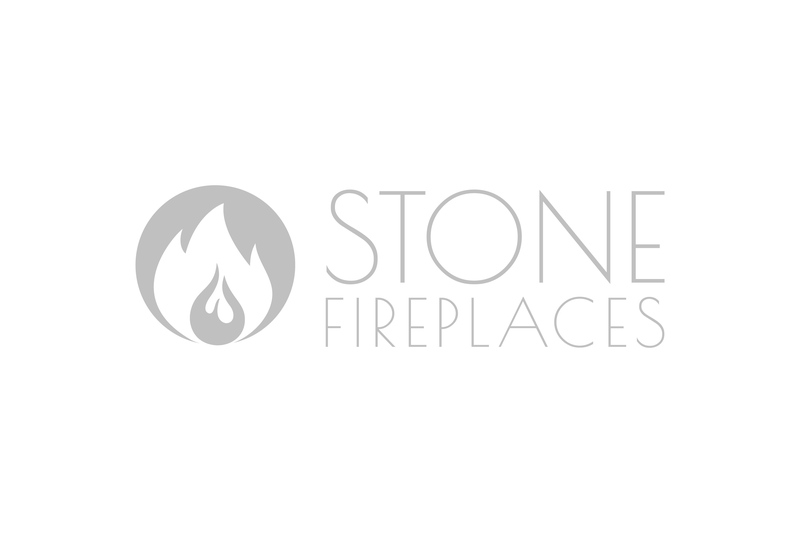 We also offer this fireplace carved from Travertine. 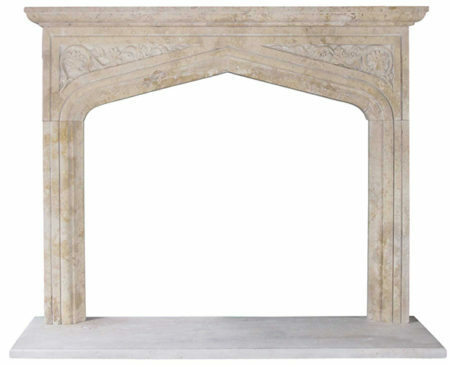 The Travertine version of the Bella Vista is displayed in our Chicago Fireplace Showroom. It has a stately rustic look to it.